Imphal, Aug 27: Despite heavy rain, the 52nd Hunger Marchers’ Day (Chaklam Khongchat Numit) was observed today under the aegis of All Manipur Students’ Union (AMSU) today. The observance function began with the hoisting the flag of the students’ body by its president Manjit Saragthem at the student martyrs’ complex at Pishum Chingamacha. Large number of people including family members of the departed souls, relatives, well wishers and students paid floral tributes to the portraits of the students’ martyrs at its memorial complex. To mark the day, the students’ body organised a mass rally which was participated by over 1000s of students begins from Pishum Chingamacha and then proceeded towards Indo-Myanmar road. Later the rally snakes through Keishamthong Bridge, Keishampat, Wahangbam Leikai, Nagamapal, Khuyathong, Thangmeiband and later concluded at DM College campus. Slogans demanding removal of AFSPA, abolition of inhuman draconian laws, control of price for essential commodities and non governance by non-manipuri people in the state were carried during the mass rally. Strong police forces were deployed to prevent any untoward incidents. Traffic police halted vehicular movement along the routes of the rally to ensure smooth marching while pedestrians and locals supported the march by offering drinking water to the marchers. A public meeting was also held as a part of the observance function which was presided by Manjit Sarangthem, President of AMSU; Ningthoujam Brojendro Singh, Former President of AMSU; A Manishana, Former President of AMSU and Shungsat Khongsai, Former Secretary General of AMSU as President, Chief Guest and Guests of Honour respectively. Various civil society organisations and students’ body also took part in the public meeting which was held at DM College Multipurpose Hall, Imphal. Paying respect to the students’ martyrs, the students’ body handed mementos to the deceased family members. Mention may be that fifty-one years from today, i.e. on August 27, 1965 large number of students upraised against then authority of the state government who had created artificial famine. In the uprising the student protestors were brutally charged and inhumanly assaulted. In the state security forces action 4 protestors namely Promodini, Chaobal, Nabakumar and Nilamani were killed inside the compound of the then Chief Commissioner of Manipur and several other student protestors’ were left with serious injury. To commemorate the day, students from all over the state upraised against the then government authority demanding their rights, the All Manipur Students’ Union (AMSU) which was borne following the uproar of the masses has been observing the day till today. Several student leaders of the time including (Late) Prof. N Sanajaoba, (Late) Achou Toijamba etc. were also put behind bar by the then government. Paint your face! Paint in black! Paint with charcoal! Leave your face dirty! What wrong have I been into? I walked tall Carrying Millions of questions to self! Never did dare to welcome my early young days? Or never did dare to salute my adolescence period? And I never did dare to flaunt my puberty life? My Courage never did help finding an answer to this. Every single month’s Sunday was his day! Never did I pose my long silky hairs. Wondering how? Why? And what for I had to paint? He never opens or unfurls his exclaiming! ‘It was an untold story my mother did tell? Never did I neglect Swimming dutifully across my youth life. By: Mohd Amir With the advent of new Chairman , we hope that MPSC will conduct free and fair exams giving a chance of hope to all hardworking candidates of Manipur. But , it seems to be a distant dream. Advt 06/2017 dated 21 Jul 2017 was issued by MPSC for recruitment of District Information Officer ( 02 vacancies) and Assistant Publicity Officer (01 vacancy). Essential qualification of the exam is Degree and Degree/Diploma in Journalism OR Certificate in Journalism The date of examination was fixed on 25 Aug 2017. However, on 21 Aug 17, only four days the exam, MPSC conducted its meeting to change the eligibility criteria stating that, Master Degree in Science /Mass Communication are also eligible. The exam was conducted on 25 Aug 17. However, some admit cards were printed as 31 Aug 17 as the date of exam. So MPSC issued another notification on 26 Aug 17 which allowed any other candidate whose date of exam is printed as 31 Aug 17 to appear for an exam to be conducted on 28 Aug 17. The notification also allowed other candidates to appear on 28 Aug 17, even if they have not applied for the post. Now with this fiasco, the following questions remain unanswered: 1. Essential qualification of the Exam includes Degree/Diploma in Journalism OR Certificate in Journalism. Why MPSC amended its essential qualification only before 04 days of examination. ? 2. District Information Officer/ Assistant Publicity Officer is specialised job. Why MPSC allowed candidates with Master Degree in Science to appear for the exam. There are thousands of candidates who hold Master Degree in Science. And there are only 03 vacancies in the advertisements. 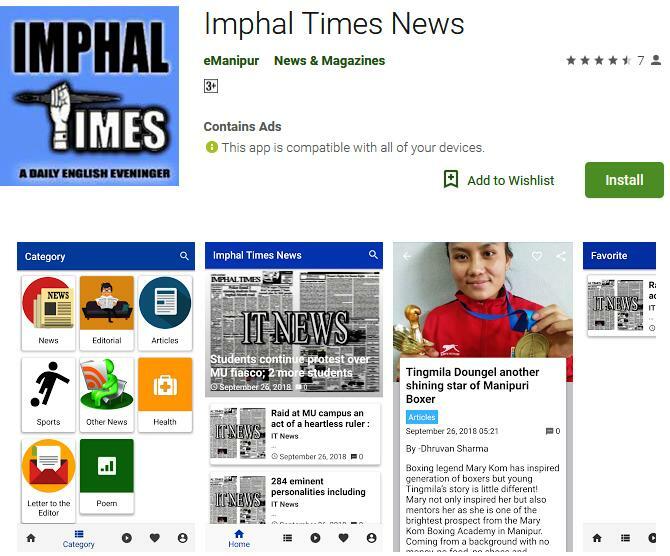 There are only few people in Manipur who have invested their time and money studying journalism. These people are looking for Jobs which suit their academic qualification. Why their rights are being confiscated ? If opportunity is not given to them, will any students take up journalism in future ? 3. Why examination is to be conducted twice ? When exams are conducted in phase, questions are different ,difficulty level of questions will differ. Hence selection rate will differ. MPSC is a full commission with Soldiers and IAS Officers. Why MPSC is blaming a third party, Cube Ten technology ? If MPSC denies its mistake and shirks off responsibility, then what is the use of posting IAS Officers at the Office ? Taking moral responsibility, MPSC should cancel the exam on 25 Aug 17 and re conduct afresh. Otherwise, many candidates will go to the court to redress their grievances. 4. The notification dated 26 Aug 17, it is stated that anybody who have not applied for the exam can also appear for the exam on 28 Aug 17. MPSC is great. MPSC can do anything, everything. MPSC don’t know the rules and it has no fear of law of the land. Where can we find any examination body on this planet, which allows candidates to sit in an exam without applying for it ? Now anybody with Master Degree in Science will apply for the exam and appear on 28 Aug 17. It seems that bribery and nepotism is knocking the door of MPSC again. It seems that relatives of MPSC who holds Master Degree in Science are vying for the posts (its only an assumption) It is also possible that the abovementioned 04 posts are already sold out to politicians. Great injustice is done to candidates studying Journalism. In such conditions, how can a candidate keep faith on MPSC ? How will the students work hard for their career if such misdoings happen every now and then ? Such inefficient style of working of MPSC will only disturb the school and college environment. And this could be one of the reasons, why students come out on streets frequently. Because they have no faith in the system. Imphal, Aug 27: A state level Inter District ranking Wushu Championship is being organised at Nachou Bazar Community Hall from 25 Aug to 27 Aug 2017. The event is being conducted under aegis of Bishnupur District Wushu Association. A total of 137 players are participating in 03 categories. Manipur is leading in Wushu game and this event will further nurture the talent of budding youths excelling in Wushu. Mr M Ronel Singh Gen Secy Bishnupur District Wushu Association thanked Loktak Brigade for providing assistance in conduct of Wushu Championship.